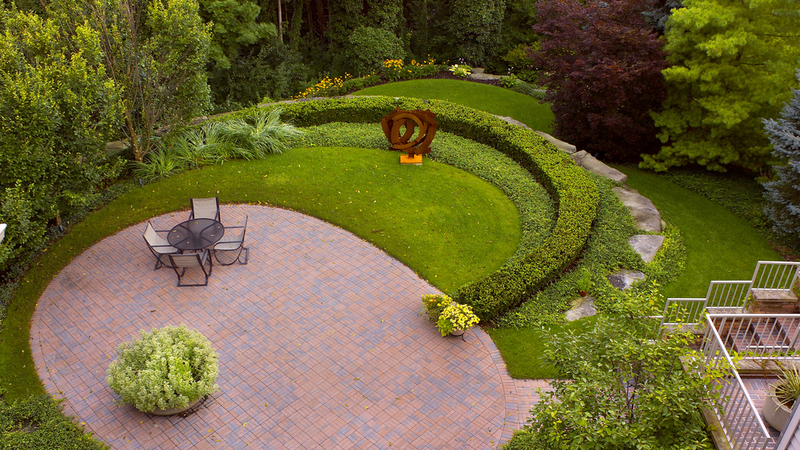 The steep terraced slope of this rear yard was made into usable space by the artful use of natural stone retaining walls. The soft elliptical forms that make up the terrace, lawn and yew hedges, weave together to create a pleasant tension and release. 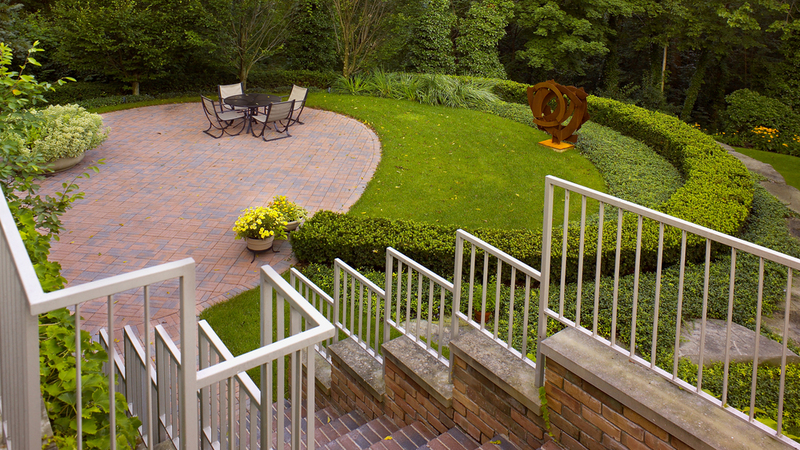 A new staircase connects the interior stairwell and further encourages access to the exterior garden space. The creative use of texture in the arrangement of natural stone and plantings complete the artful interplay of architecture and nature.